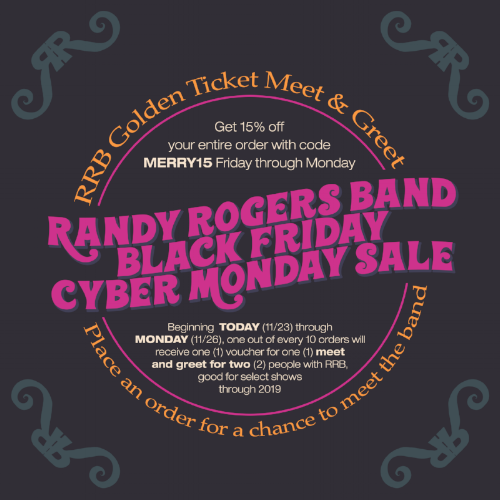 RRB Golden Ticket Meet & Greets are Back and Black Friday is Here! Let the Black Friday shopping begin! Starting NOW through Monday, one out of every 10 orders will receive one voucher for a meet and greet for two people in 2019. But wait...there's more! Also enjoy 15% off your entire order in the RRB shop using code MERRY15. Click here to shop!